As the number of Internet of Things (IoT) devices continues to grow at an exponential rate, it’s becoming clear that we also need the right networks to connect these devices to each other and the wider internet. Standard procedure these days is to use either a built-in 3G or 4G card, which makes devices bulky, or a low-power wide area network like LoRa or Sigfox. 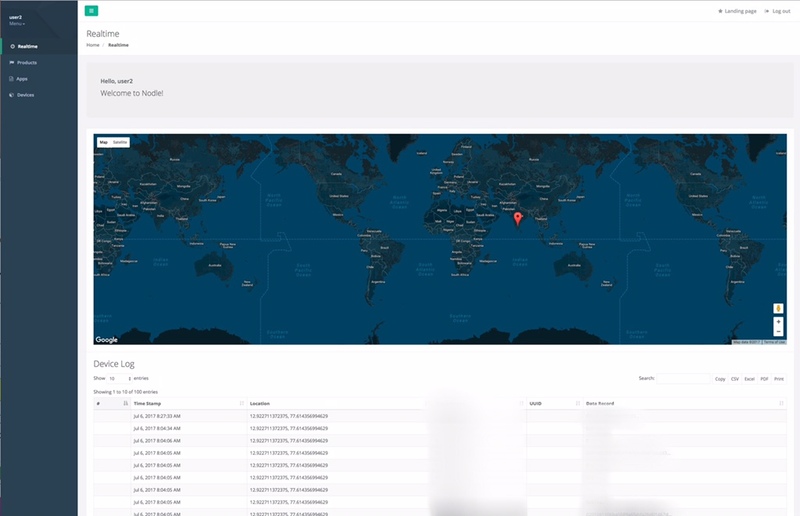 Nodle.io, which is launching this week, is taking a different approach by using software-based Bluetooth networks that uses the hardware already available in billions of existing IoT devices, combined with smartphones and apps to connect devices. The company was founded by Micha Benoliel, who previously co-founded Open Garden, a startup that was a finalist in our Disrupt New York 2012 Battlefield competition and that focused on mesh networking for cell phones in areas with very little or no connectivity. Benoliel stepped down as the CEO of Open Garden in early 2016 and then left the company completely at the end of last year. While Open Garden’s emphasis was on phones and the apps that run on them, Nodle.io is squarely focused on IoT. Nodle definitely shares some of its core ideas — especially with how it approaches crowdsourced connectivity — with Open Garden. 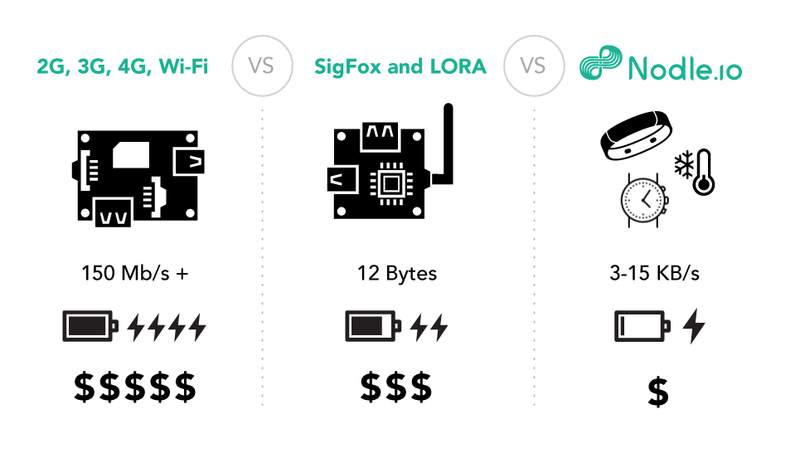 The promise of Nodle is that this kind of network will be able to offer bandwidth that is comparable to Sigox and LoRa, but with significantly lower energy needs for the IoT devices themselves. To achieve this, Nodle is betting on a combination of crowdsourcing bandwidth and partnerships. Benoliel stressed that the networking principle here is different from the kind of mesh networking Open Garden worked on. The twist here is that Nodle will offer an SDK for developers (and telcos) who want to build the Nodle SDK into their applications. That’s because the Nodle networks still need a way to connect to the internet. Developers who use its SDK can essentially monetize their apps by turning their users into potential network hubs that the Nodle networks can use to connect to the internet. Nodle then shares its revenue with these developers based on the number of connections they facilitate. Because we’re basically talking about using crowdsourcing to connect the devices to the internet, this kind of network is obviously not ideal for applications where real-time access to data is paramount. The team also launched a smartphone app for Android (Noodle), that is essentially an example for a Nodle-enabled app and that rewards users with a ‘Noodle’ every time they get a ping from a Nodle IoT device. There are currently no rewards for doing so, but the app features a leaderboard. Benoliel says the Nodle SDK could also work alongside advertising SDKs from carriers and OEMs. “One main difference though: we don’t need to know anything about users. We are not interested in users data and device IDs are also anonymized,” he said. While the company is only officially launching at the RISE conference in Hong Kong this week, the team has already lined up a number of partnerships with IoT manufacturers like Stilla and Trackr, as well as LifeKit and IoT platform enablers like DevicePilot. While Nodle is starting out by leveraging the smartphone infrastructure, the plan is to expand this to home routers and maybe even vehicles like cars.